Message from H.E. Ambassador Liu Xiaoming For the Special Commemorative Publication of "CBBC / BritCham 40th Anniversary of the Establishment Of Full Diplomatic Relations between the UK and the People's Republic of China"
There is a saying from Confucius that reads: "At the age of forty, one is no longer distracted by doubts." These words neatly capture the spirit of Sino-UK relations as we celebrate the 40th anniversary of the full diplomatic relationship between China and Britain in 2012. The maturing and deepening partnership between China and Britain has cleared any doubts where our relationship is heading. This gives us hope and optimism as we look forward to the next 40 years. 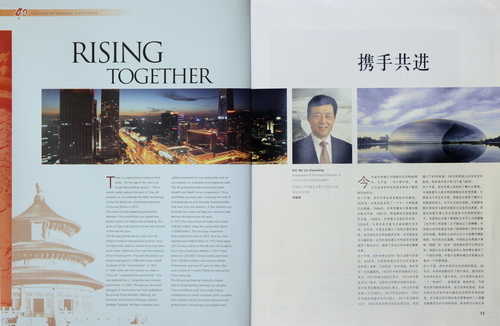 The 40-year partnership has seen Sino-UK relations travel an extraordinary journey. Since full diplomatic relations started there have been some major milestones that mark the evolution of our maturing links. 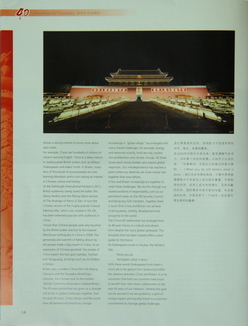 The Joint Declaration on Hong Kong signed in 1984 led to the smooth handover of the 'Oriental Pearl' in 1997. In 1998, there was the initiative to create a China-UK 'comprehensive partnership'. This was upgraded to a 'comprehensive strategic partnership' in 2004. Through our structured dialogues in recent years we have established the annual prime ministers' meeting, the Economic and Financial Dialogue and the Strategic Dialogue. All these initiatives have added momentum to our partnership and set our relations on a positive and progressive path. The 40-year partnership has brought great breadth and depth to our cooperation. China and Britain are every year increasing the level of interdependence and mutually shared benefits that arise from our relations. A few statistics can illustrate how wide and deep our relations have become during the past 40 years. In 1972 the value of annual trade was a mere $US 300 million; today the comparable figure is $US 60 billion. The two-way investment flow started from zero in 1972; that has now reached over $US 20 billon dollars. In 1972 there were 200 Chinese visitors to the UK and 100 students from China studying in Britain; in 2011 there were over 200,000 Chinese visitors and more than 120,000 students who came to Britain. Furthermore, we have 47 pairs of sister cities and a choice of 13 direct flights to cities across China everyday. The 40-year partnership has built a higher level of understanding between our peoples. China and Britain both have made historic contributions to advance world civilisation; both countries have evolved cultures that have had profound global impact. Increasingly our peoples have shown a strong interest to know more about each other. For example, China has hundreds of millions of citizens learning English. There is a deep interest in reading great British writers such as William Shakespeare and Adam Smith. In Britain, many tens of thousands of young people are now learning Mandarin and in turn taking an interest in Chinese culture and history. At the Edinburgh International Festival in 2011, British audiences clearly loved the ballet 'The Peony Pavilion' and the Peking Opera version of 'The Revenge of Prince Zi Dan'. In turn the Chinese version of the hugely popular musical 'Mamma Mia', that was created in the UK, has been extremely popular with audiences in China. I know that Chinese people were very touched by the British public reaction to the massive Wenchuan Earthquake in China in 2008; the generousity and warmth of feeling shown by UK people made a big impact in China. As an expression of Chinese goodwill, the people of China expect the two giant pandas, Tiantian and Yangguang, to bring much joy to children in Britain. 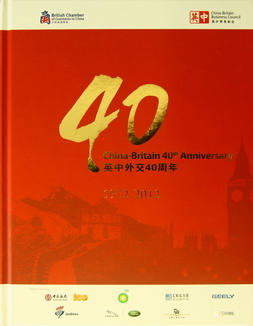 Britain saw a modern China from the Beijing Olympics and the Shanghai World Expo. Likewise, the Chinese look to the London Olympic Games to showcase a creative Britain. The 40-year partnership has given us stronger will to rise to global challenges together. Over the past 40 years, China, Britain and the world have all experienced enormous changes. Increasingly a 'global village' has emerged with many shared challenges. For example, energy and resources scarcity, food security, nuclear non-proliferation and climate change; all these issues reach across borders and require global responses. Our interdependence has reached a point where our destinies are more closely tied together than ever before. China and Britain increasingly act together to meet these challenges. We do this through our shared positions of responsibility such as our permanent seats on the UN Security Council and being key G20 members. Together there is much that China and Britain can achieve to bring peace, stability, development and prosperity to the world. The China-UK relationship has emerged from its 40-year history in a robust and vibrant form despite the many global upheavals. The template that has been created offers a clear guide for the future. With these words Shakespeare hints there is much yet to be gained from advancing further the relations between China and Britain. It is my conviction that both our countries have much to benefit from ever closer collaboration in the next 40 years of our relations. I believe this goal can be secured if we are guided by a spirit of mutual respect and equality linked to a common commitment to manage global challenges.